The October precious metals update is all about gold and silver prices, Q3 results and the Mines and Money Americas conference. It was another month with plenty of news stories in the precious metals sector. 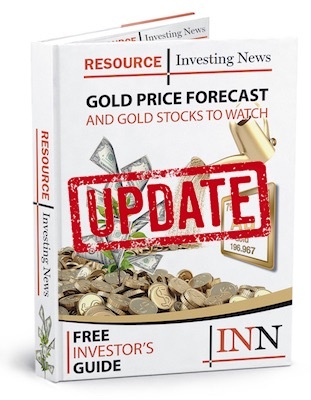 In the October update, Olivia and Nicole talk about gold and silver prices, Q3 results from various companies and the Mines and Money Americas conference, which was held in Toronto from October 15-17. Olivia: Nicole can you tell me a little bit about what happened with gold and silver in October? Nicole: For sure. So, October marks the fourth and final quarter of 2018 and while the precious metals were able to make some gains last quarter, they weren’t able to rise above the ongoing slump that they faced in the last two quarters. On the plus side, the yellow metal spent most of the month over the US$1,200 per ounce mark, which is great because it was able to avoid the US$1,100 per ounce mark that it experienced in the last quarter. It hovered around the US$1,220 per ounce mark and it met its highest mark on October 26 when it was around US$1,242 per ounce. Now, as for silver, it was unable to break free of the US$14 per ounce range and it spent most of the month between US$14.50 to US$14.60 per ounce and then it ended the month around US$14.60 per ounce. Olivia: And you mentioned that the metal’s were helped by a weakened US dollar—can you tell me a little bit more about how that? Nicole: Sure. So, similar to last month, the greenback experienced a few setbacks. This month it was in terms of global stocks that had decreased and a weaker market sent the investors running towards the safety of the precious metals. Olivia: Ok, and what were some of the top precious metals news stories in October then? Nicole: So, a lot of the top precious metals stories revolved around Q3 results. For example, Kirkland Lake Gold (TSX:KL, NYSE:KL, ASX:KLA) increased its gold production by 30 percent. Coeur Mining (NYSE:CDE) reported lower Q3 results, around 8.5-million ounces of silver equivalent. So, it was down but it was still able to maintain its production guidance for the year and Fresnillo (LSE:FRES) lowered its full-year production guidance for the year despite posting a 6.3 percent increase in silver. So, that is just a few of the many Q3 results that happened in October. Olivia: And one of the recent North American conferences you attended was Mines and Money Americas—can you tell me a little bit about that? Nicole: Sure. So, I spoke with a lot of precious metals industry experts, such as Peter Grosskopf, CEO of Sprott (TSX:SII), Martin Murenbeeld, president of Murenbeeld & Co and Alain Corbani of Finance SA. Olivia: What did they have to say about the precious metals industry right now? Nicole: Well, they all agreed that a strong US dollar kept the metals down for the last two quarters and in October. They also agreed that this trend would not continue and at the end of Q4 and into 2019, there is several different factors that will effect the greenback and push it down and then the precious metals will be able to rise. Olivia: And did they say anything else that was particularly interesting? Nicole: Definitely. So, Corbani believes in the idea of Trumponomics and this is to say that Trump’s aggressive fiscal policy will effect the Us dollar negatively and it will slide down and then the precious metals price will increase. Murenbeeld believes that now is not the time to sell gold and that investors should hold it and Grosskopf believes that gold needs to appeal to a wider audience and one way to do that is through digital gold.